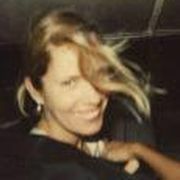 Christine Muhlke is the food editor of the New York Times Magazine, where she also writes the Field Report column. She is the author of On the Line with Eric Ripert. If only there was a tidy way to link the books I’m honored to have been asked to Pigletize. There’s no Cajun-on-Cajun action in this case, no Lees v. Chang. What do Harvest to Heat: Cooking With America’s Best Chefs, Farmers and Artisans and Plenty have in common besides pretty vegetables turned into pretty salads (and paper and ink)? Well, poor things, now they have me. In the two years that I’ve been writing the Field Report column for the New York Times, I’ve been incredibly fortunate to have traveled the States to meet the farmers and food artisans who inspire the country’s great chefs — the men and women whose back-breaking work provides cooks with the true stars of their plates. I’ve also been incredibly frustrated by a few of the chefs’ recipes for the column. Home cooks do not make demi-glace for a bean dish (I’m making this up), nor do they braise 6 pounds of pork shoulder, chill it, cut it into bricks and sear it to order, served on top of chili cornbread and fava beans in bacon-infused chicken broth (I’m not making this up; it was delicious). In short, the journey from farm to restaurant table is rarely as plate-of-figs as it looks. Photographer Darryl Estrine and Kelly Kochendorfer, the original test-kitchen director for Saveur who has also tested and styled recipes for T Magazine (back when Amanda was doing wonders with the Living issue), met at a photo shoot and bonded over their shared love for “great cheeses, small-batch bourbons, and even the best farmer for heirloom tomatoes (Tim Stark…),” they write in the introduction. Together they envisioned a book that would combine ingredients from the best farmers with recipes from the authors’ favorite restaurants. 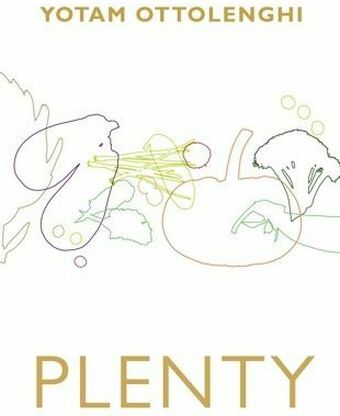 What they came up with is a coffee-table-quality book — at least the color galley I have is awfully pretty — that intersperses recipes from great chefs with profiles of the farmers those chefs love most, tied together with a bow of a foreword by Alice Waters. Waters assures us that “The simplicity of the recipes lets the ingredients shine, and the accessible techniques place each and every recipe within reach of home cooks of all skill levels.” But when I first read through the galley, pre-Piglet, in search of a recipe to run with a July Field Report (zucchini? peas? tomatoes? ), there were few dishes that I could a) fit on the page, b) ask readers who don’t live near good farmers’ markets to try, or c) afford to try without maxing out my expense account. Crab-stuffed zucchini flowers with black truffles, via Eric Ripert? I’d love to wake up to the blogosphere’s posts on that one. Stuffed cherry tomatoes with zucchini pistou and yellow tomato vinaigrette from Daniel Boulud? Yes, please! Except the ingredient list and stuffed-tomato instructions alone would have put me over word count. Michael Anthony’s warm vegetable salad seemed ideal, except the store I visit on weekends didn’t have baby beets, Thumbelina carrots, baby turnips, walnut oil or sunchokes, just some of the ingredients. Sigh. You can see where I’m going with this. I loved the photographs of, say, Chicago chef Paul Kahan with Dave Cleverdon of Kinnickinnick Farm, or pork starmer Bev Eggleston holding a customer’s hand at his local market. Some recipes gave me delicious insight into restaurants I haven’t visited, and stories of farmers were inspiring. (I tore out the page on an Oregon hazelnut farmer for a future story. Sorry! Thank you!) And what Estrine and Kochendorfer are doing is important: farmers and food artisans need to be celebrated and kept afloat; people balk at a carton of $8 eggs, but if you knew how razor-thin the profit margins are and how much love and work went into them, you’d never shop at a supermarket again. If readers of this book look at the people behind the folding tables at the farmers’ market differently after reading it, or take the plunge to mail-order, say, from Kentucky Bison Co. or any of the producers in index, it’s a great thing. But as an actual cookbook, I was daunted by the restaurant-ness of the recipes. Not that everything should be simple or fast. When the purpose is to highlight an ingredient, you should still love that ingredient by the time you’ve served the dish. 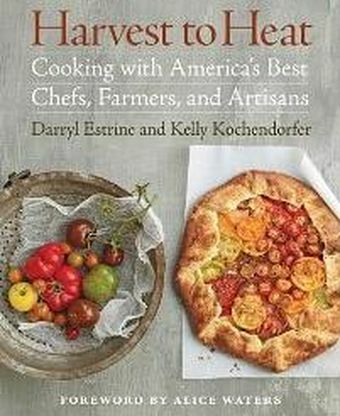 Going through Harvest to Heat with dinner rather than Times readers on my mind, I realized that it’s more of a weekend cookbook, requiring focused shopping. Dishes like Waldy Malouf’s roasted trout with herb-Champagne vinaigrette tempted, as did Naomi Pomeroy of Beast’s crème fraîche galette with heirloom tomatoes. I tried Rick Bayless’s Swiss chard and shiitake tacos with tomatillo salsa verde, an homage to the excellent husband-wife team at Spence Farm. “This is not selling me on vegetables,” my husband, a Bayless fan, said disappointedly, taco half-eaten. Next I spent an hour making the components for Nancy Silverton’s marinated escarole and caramelized shallot crostini with burata (or burnotta, as I called the mozzarella I had to use instead, unable to find burata in the 845 area code). Loved her caramelization shortcut — sear ‘em, reduce ‘em in balsamic, stir in honey — but the whole didn’t kill me as much as the parts. Then I really ruined the weekend by trying sweet-potato gnocchi with braised plums and blue cheese, Eric Warnstedt of Hen of the Wood in Vermont’s ode to cheesemakers Mateo and Andy Kehler at Jasper Hill Farm. I can’t really go into it. Dessert? Since it would take me less time to catch the shuttle to Chicago to try Charlie Trotter’s milk chocolate semifreddo with star anise carrot cake (they buried the carrot soup component in the ingredients), I whipped up Frank Stitt’s pretty/simple nectarines, peaches and blueberries with sabayon. Am I lazy? Cheap? Latently envious? God yes. Am I splitting hairs for seeing a disconnect between celebrating lobstermen and publishing a recipe for lobster shortcakes with vanilla rum sauce and spicy shallots? You be the judge. And so it was such a treat to be exposed to a new world, one where Turkish, Israeli and Middle Eastern influences mix with that good, simple, slightly boho British taste — you know, the Skye Gyngell stuff, the Nigel Slater and Simon Hopkinson still-life-with-roast-chicken. Flipping through the book, I felt the kind of excitement I hadn’t experienced since the first River Café Cook Book blew the lid off of my 1995 understanding of Italian food, or the first time I saw Donna Hay’s exquisite tomes (before I’d cooked from them and had my heart broken). Haloumi really is made for grilling! Watercress salad is beautiful with basil, tarragon, cilantro, dill, pistachios and orange-blossom vinaigrette. Toasted mustard and coriander seeds are simply lovely in a lemon-zested salad of snowpeas, fresh peas, French beans and tarragon. Once I got through the muck of translating the recipes from the metric — thank you digital scale and gourmetsleuth.com — I quickly found myself mixing buttermilk with Greek yogurt to make a soothing sauce for roast eggplant, to be sprinkled with za’atar, and making a shopping list for Kalustyan’s that included dried Iranian limes, fresh curry leaves, freekeh and pomegranate molasses so that I could cook my way deeper into the book. As to my griping above, you can make many of the recipes without going too far afield; it’s just that they are so seductive — simple yet inventively flavorful — that I’m willing to make the trip for Yotam. After all, isn’t that must-make feeling of urgency, that tingling of the tongue while reading, the sign of a good cookbook? The flavors in Plenty are so bright, curious and new — to my palate at least — it made me wonder, where is our Middle Eastern Mario? And how quickly can Ottolenghi open in New York? I have been drooling over this book since the first time I saw it and it has been so hard not to buy it because I put it on my Christmas list months ago. Breath deep, breath deep. I am making the aubergines recipe tonight to give myself a sneak peak. Great reading, and I'm making the recipe above tonight! What is a 'no more cookbook' plan? :) I'm adopting a don't ask don't tell strategy when I bring a new book into the house. The judges for the Piglet are as amazing as the cookbooks. I love "The Field Report" in the Sunday mag. I was especially excited to read the profile on Soul Food Farm owned by Alexis and Eric Koefoed. Thank you, Christine! It is not a surprise then that my favorite passage from today's review is: "farmers and food artisans need to be celebrated and kept afloat; people balk at a carton of $8 eggs, but if you knew how razor-thin the profit margins are and how much love and work went into them, you’d never shop at a supermarket again." I can't wait to check out Harvest to Heat for the stories about the farmers - my heroes. I'm equally looking forward to Plenty - vegetarian recipes I can get excited about. Ottolenghi is my favorite restaurant/take away in London. Each morsel is more beautiful and tasty than the next. Eating there is treat for all the senses. I own both cookbooks and love both of them. Yes, the conversions can pose a challenge but the results are well worth the effort.